Simple strategies for bringing out the best in boys. 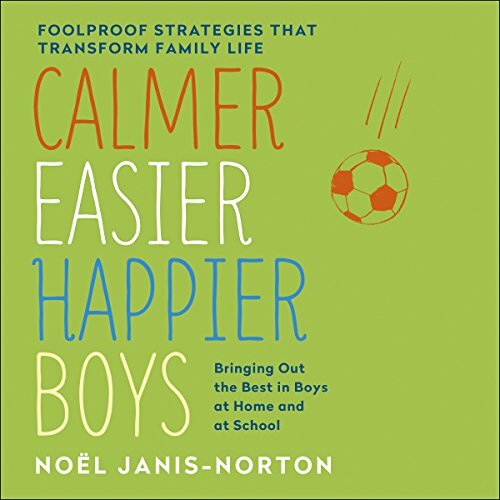 In Calmer, Easier, Happier Boys, parenting expert Noel Janis-Norton explains simple strategies for the unique challenges of raising motivated, cooperative and confident boys. Using the foolproof techniques Noel has developed over many years of working with families, parents can get back in charge. Living with boys can become calmer, easier and happier. Full of practical suggestions and techniques that work, Calmer, Easier, Happier Boys will help you to transform your relationship with your sons. For parents of boys aged 3-13. Perfect strategies for getting the job of parenting done . Like a manual for raising well adjusted and resilient boys.